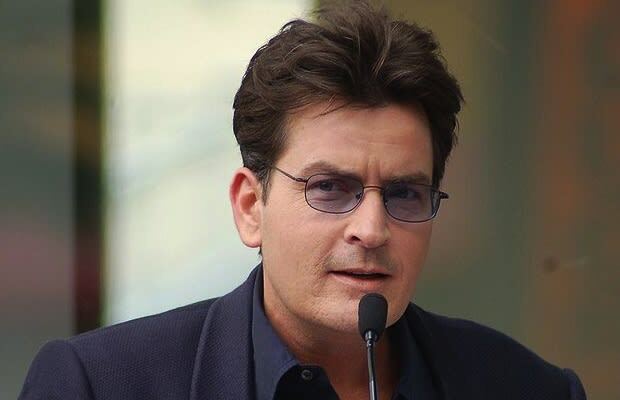 If it weren&apos;t for Charlie Sheen, what would anyone even talk about nowadays? The embattled Two and a Half Men star has had quite a rocky 24 hours: He blasted everyone from Alcoholics Anonymous to Thomas Jefferson on The Alex Jones Show, then watched as CBS and Warner Bros. Television put Two and a Half Men on indefinite hiatus, and followed that up with a blistering letter to TMZ where he claimed to want to fight with Men creator Chuck Lorre. Phew! How does the guy have so much energy? Oh, right. During this crash-and-burn bender, Sheen claimed that he was going to HBO following the seeming disintegration of his meal ticket. Well, don&apos;t hold your breath for that one. HBO denied having contact with Sheen, who perhaps imagined the whole thing during one of his fever dreams. Sheen also denied that he was anti-Semitic, despite calling Chuck Lorre "Chaim Levine" during one of his many rants because that&apos;s Lorre&apos;s birth name. "So you&apos;re telling me, anytime someone calls me Carlos Estevez, I can claim they are anti-Latino?" Sheen said to ABC. Probably not, Charlie. Probably not.